The download link listed here only includes the fictionary village rally. Where is the rest ??? i'va installed the tracks, 24h, Travel, Village, V8. but the 24h track isn't shown in the rfactor track list. how is the right naming of the folders in "locations" ??! for example, the Travel Layout is named: "Trave" , are there naming errors in the ZIP files? It's been sometime since I have used this track, I reinstalled it today, all the tracks are working except one small issue. On the 24 hour layout the grass is very light on parts of the GP section. Also there are a few black segments track side on the 24hour section. Could somebody please confirm this is how the track is. read a lot of people did have problems installing this track. I've downloaded The village 1.0 and it works without any problems! I have the original Nurburgring which came with rFactor still installed, and copied the files from The village 1.0 into the same directory. 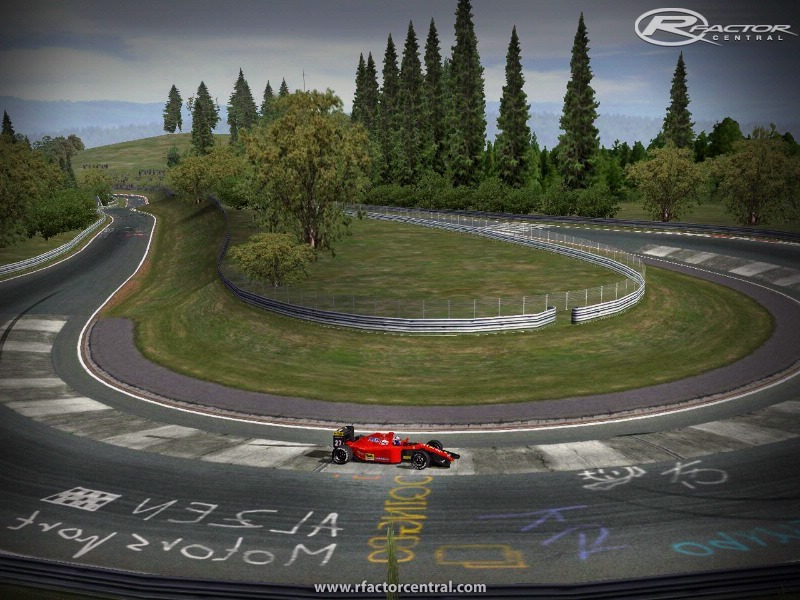 This Village track is in the same style as the original rFactor "village tracks". For purists: the castle in this track is not on the same place as it is in the real village. For everybody else: this is a great track, with traffic coming from the other direction (be careful with overtaking !!!) and a real intersection with almost no possibility to see traffic coming from the left or the right, so it is a bit of luck if you can pass the intersection without a big accident. Hello, I want to ask for permission ,to convert this track to f1c. Thanks in advance. Regards. i *thought* I had the latest version, but all files are dated prior to 1.2 date here. Where is 1.2? 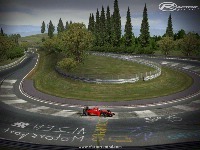 Downloaded a file called "Nordschleife All Road 1.20+Village," but it has no new files, either. Major problem I have is flickering shadows on the pavement. Where are the file(s) that fix that? Only tracks in my very larrge collection that have this problem are the RK Neurburg variants. Oh, I'm reading, there is an (unofficial) update. How do I get it and where do I insert it then?